In Judges chapter 16 verse 3 we continue to see Samson's strength - "But Samson stayed in bed only until midnight. Then he got up, took hold of the city gates with its two posts, and lifted them, bar and all, right out of the ground. 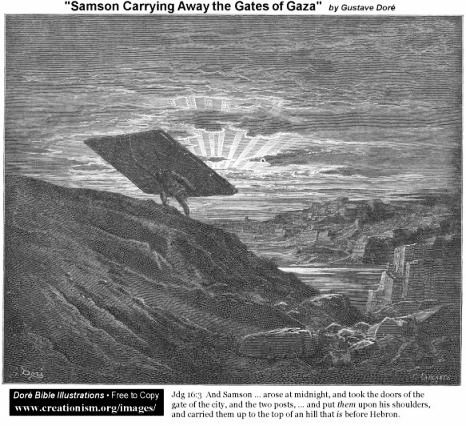 He put them on his shoulders and carried them all the way to the top of the hill across from Hebron." And then we get to the famous story of Samson & Delilah. 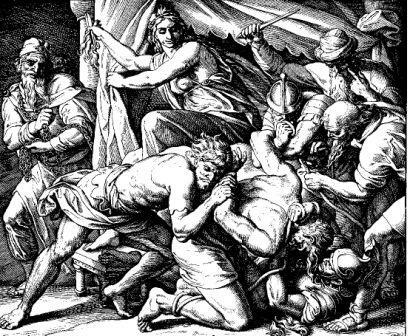 In verse 21 the Philistines finally overpower Samson by cutting his hair - a symbol of Samson's relationship with God. Commentary on Judges chapter 16 is at this link. Judges chapter 17 & 18 are sad chapters to read! In these chapters we see how far a Levitical priest had wandered from his original call to serve God - by accepting money, idols, and position in Micah's house. And we see how far the tribe of Dan had wandered from God's plan for the tribes of Israel by killing the citizens of Laish - a city that did not fall under God's judgment due to serving idols or wickedness - and Laish was outside the geographical boundaries of the tribe of Dan. Unfortunately, we see Dan's tribe worshiping idols. Verse 6 in chapter 17 stood out to me - "In those days Israel had no king, so the people did whatever seemed right in their own eyes." This verse certainly seems to be building up to the kings of Israel that will soon be coming. But, this verse also indicates to me the importance for each of us to have a king - so that we don't just do whatever seems right in our own eyes. Fortunately, today, we have Jesus Christ as our king. He is the best king we could ever hope for. 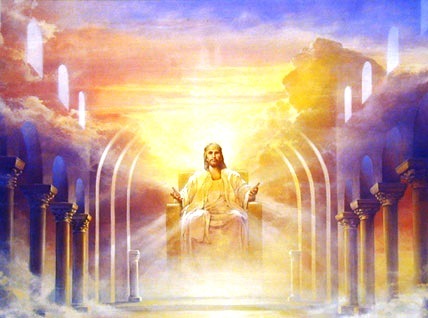 Do you consider Jesus to be your king? 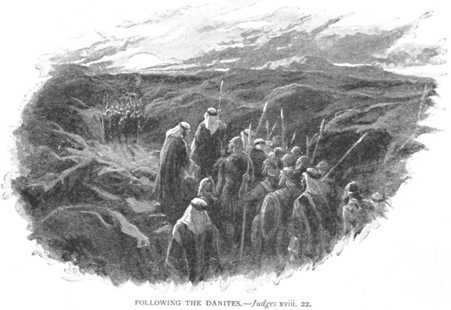 An image is below for Judges 18 verses 22 & 23 - "When the people from the tribe of Dan were quite a distance from Micah's home, Micah and some of his neighbors came chasing after them. They were shouting as they caught up with them. The men of Dan turned around and said, "What do you want? Why have you called these men together and chased after us like this?"" Worship God: Today's readings in Judges reminded me of the Tait song "Lose this Life:"
Have you lost your life? Click here and find it forever! Prayer Point: Pray that Jesus is your King. Pray that you will do as Jesus sees fit in His holy eyes.